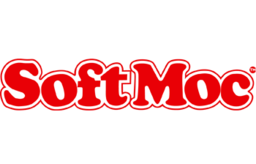 SoftMoc is one of Canada's leading footwear retailers with over 110 stores spanning east to west Canada. SoftMoc carries all of the footwear brands you love (including its signature Moccasins & Mukluks), making for the best shoe shopping experience. Find great brands like Birkenstock, Clarks, Merrell, SoftMoc, UGG, Converse, Skechers, Hunter, Sorel and Sperry. Visit SoftMoc at Richmond's premier shopping destination, CF Richmond Centre.